Here's some pics of the 3 DASH Fairgrounds cars I have built so far. I have some RRR cars coming but their turn-a-round time is nearly a month, so in the mean time I built these 3 to test and play with. In addition to these cars I am building a raffle car that will go out at our first race in a few weeks. That car will be an Ultra G DASH Lead Sled, pearl black with RRR Factories and white wall tires. It also has a new Mean Green, Polymer magnets and RT-HO copper motor brushes, and BSRT silver plated shoes, assuring that this is one 'sled that will really move. I had intended to do 2 more of these DASH Fairgrounds cars but for now at least money has run out, and finishing up the track is a priority. After the New Year I will fill out the field. 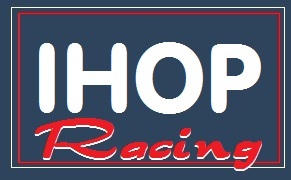 I'm working with Dash right now to acquire some 55's for my Fairground racers. Then, I guess I'll have to pop for some NOS T-Jet chassis from Bud to put under them. Re: The DASH Fairgrounds cars. Dave, you can put NOS's under them for $14 or $15 but if you go to JAG's you can put a brand new JL/AW under them for under $10. This is how we were able to offer Proxy cars for under $30 shipped. We now specify that anyone wanting a Proxy has to have the DASH '55 as either the stock or Pro Stock hood, on a JL chassis. RRR just takes so long with their orders, up to 4 weeks, and I can have JAG's stuff here in a week. We're doing the older 1950's car because that was the Hobby Stock class at the track I grew up going to, but you can do the modern class of car too, Chevelles, Nova's, Mustangs, Falcon's, all as Fairgrounds cars. It just depends on what you're guys want to run. Please explain how the bodies and chassis match up. I think Dash will match right up with T-Jet and JL match up with T-Jet 500. Isn't there a wheel base problem somewhere in there? Only slightly. With the DASH '55 you will need to shave about 1/16" off of the trailing edge if...IF you use the front chassis axle hole. If you use the dropped front end hole they fit perfect. If you use the RRR wheels and #316 axles like I do you may have to round out the tops of the front wheel wells too but again, that's a slight modification. Now, if you drop it in the weeds like I did with the #97 car, then that's an entirely now situation. The #13 car is about where any future cars for me will be lowered.